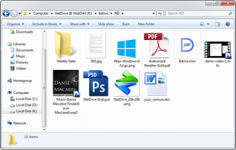 NetDrive is a software utility that offers easy access and manage the FTP sites as the amount of network drives. It provides access to multiple cloud storage accounts like Dropbox, SkyDrive, CloudMe and Box. NetDrive reduces manipulation of FTP transfers and bypasses using FTP software or other dedicated clients. It is necessary to fill in the password needed to access the website and assign a drive letter to it for NetDrive added to the list of local drives. The user can easily manage his site with simple drag and drop on the player or on his desk for adding, deleting, or editing the various files. Curently we don't have any log information about NetDrive version 3.7.687. We will this change log update soon!